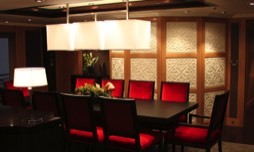 Fielded and faceted feature wall with routed asian theme. 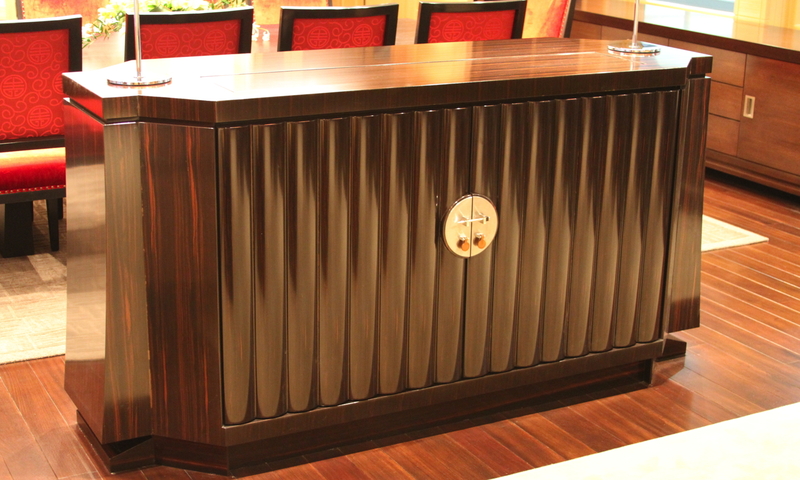 A custom inlay tile bar with teak furniture and built in sette. 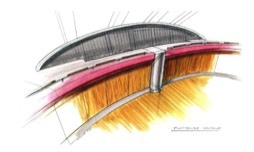 Sketch concept for the bridge settee of M/Y SLOJO. 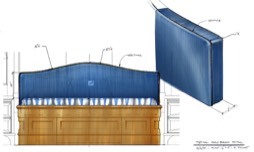 A sketch showing upholstery details for the Owner's berth. 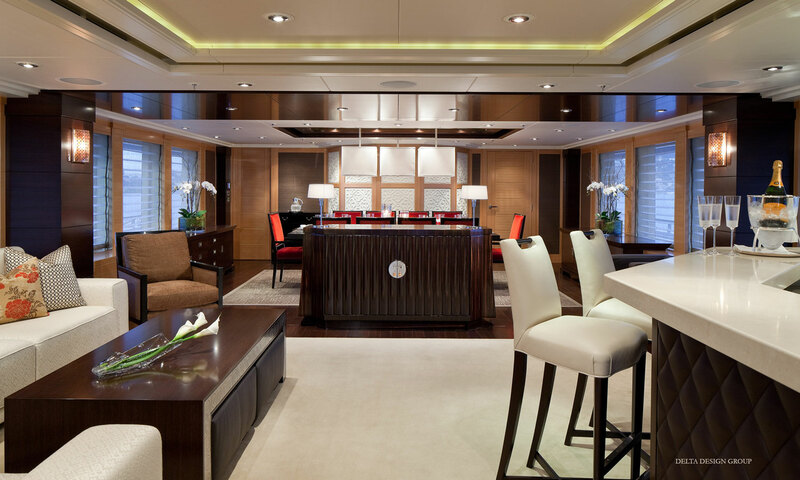 The salon of the 133' yacht ONIKA with raised panel mahogany walls with coffered beam ceiling. 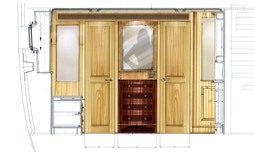 A rendered elevation drawing of a guest stateroom showing materials. 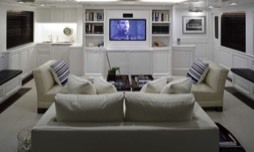 Design and refit of a 150' Feadship in high-gloss mahogany raised panel joinery. 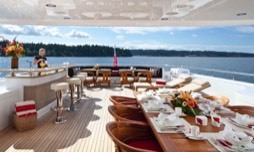 Refit of a150' Feadship CHARISMA. 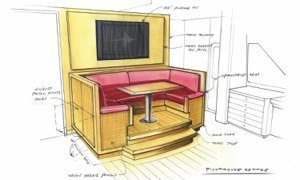 Skylounge layout, design and construction drawings. 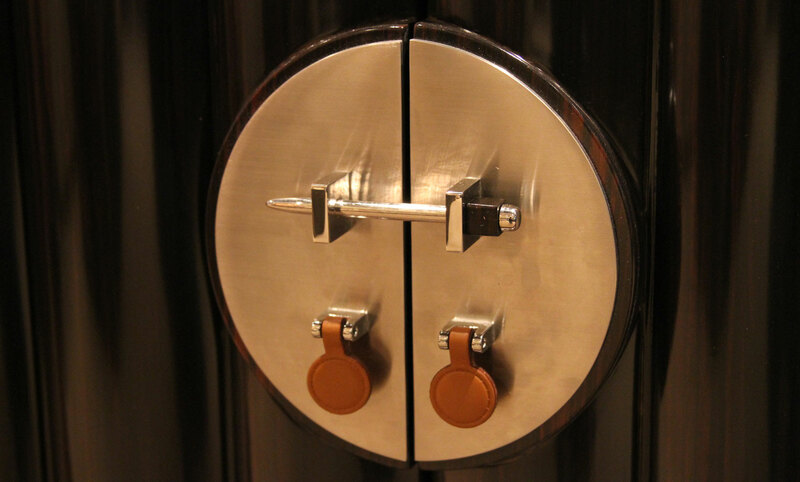 A sketch concept for the 156’ M/Y SLOJO bridge helm station. 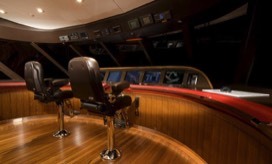 Final photo of the 156’ M/Y SLOJO bridge helm station. 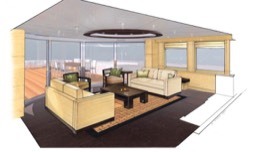 Concept rendering for client of skylounge for the 150' M/Y ROCHADE. 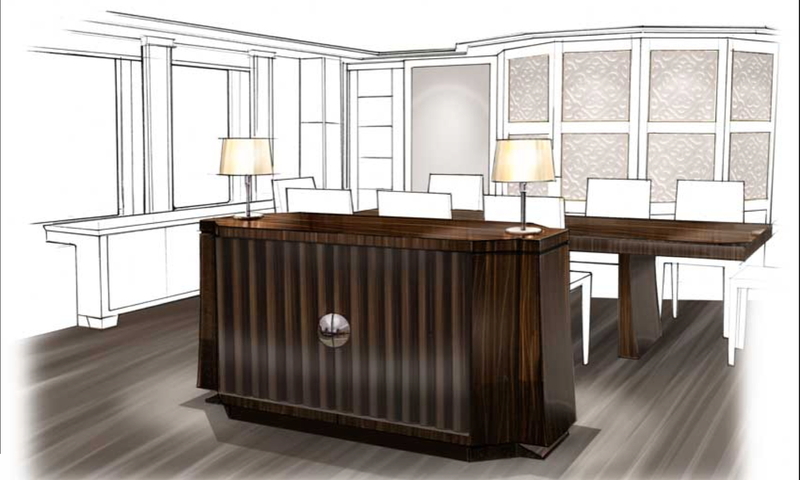 Final design of skylounge for M/Y ROCHADE.